We live in an on-demand world. From taxis to pizzas, we want it at the press of a button. So, why not veterinarians? That’s the philosophy behind the latest update to PawSquad, which we first covered two years ago, when it was a simple animal telemedicine service. Now, it’s possible to call out a qualified and approved vet to your home, just for a flat fee of £48 (roughly $60). Visits last up to 40 minutes, and can be booked through the website or app at virtually any time of day – from 7:30 AM, to 9PM at night. The company also intends to introduce a feature that will allow both vets and customers to access the pet’s medical records. Since the visits aren’t taking place in a fully-equipped clinic, it offers a relatively limited amount of services. In addition to diagnostics, preventative measures, and simple procedures, PawSquad vets can also advise customers on how to handle chronic conditions, problem behavior, and training puppies and kittens. Interestingly, euthanasia is one of the services offered by PawSquad. While unpleasant, I imagine many people would be receptive to putting their beloved pets to sleep at home, rather than at a cold and unfamiliar clinic. For those procedures that cannot be performed at home, the company has partnered up with local clinics, which will be able to take over the provision of care if required. And as Uber did for the taxi industry, PawSquad looks set to casualize the veterinary medicine industry, allowing people to launch their own practices without any overheads or upfront costs. It also allows vets to work without any set hours, making it ideal for those looking for a side-gig, or wishing to work part-time. 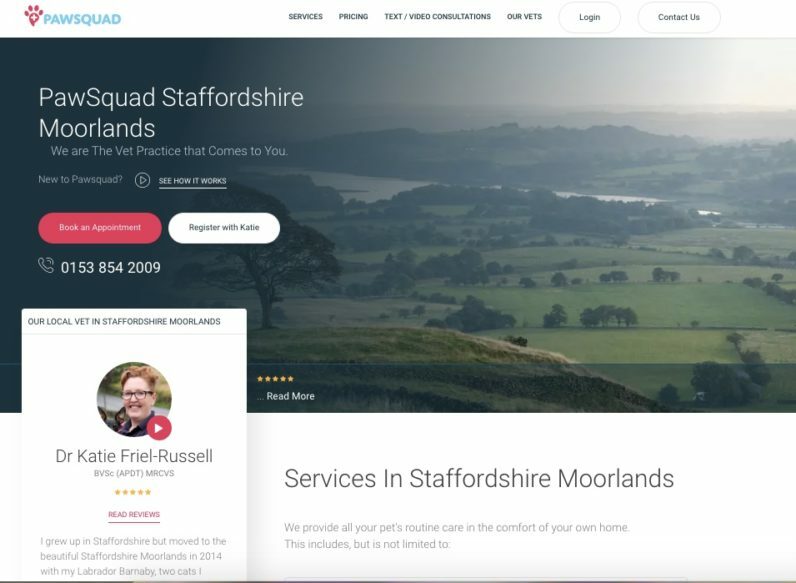 You can try PawSquad’s Home Visit Service from today. The service is currently available for residents of North-West and South-West London, Edinburgh, Saffron Walden and Staffordshire Moorlands, with Devon, Southampton and Bournemouth launching soon. The company plans to expand to further regions by the end of the year.